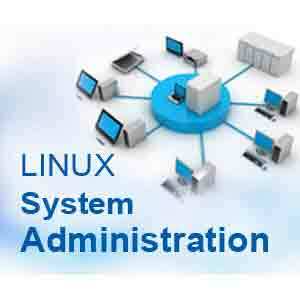 A server administrator, or admin has the overall control of a server. This is usually in the context of a business organization, where a server administrator oversees the performance and condition of multiple servers in the business organization, or it can be in the context of a single person running a game server.The Server Administrator's role is to design, install, administer, and optimize company servers and related components to achieve high performance of the various business functions supported by the servers as necessary. This includes ensuring the availability of client/server applications, configuring all new implementations, and developing processes and procedures for ongoing management of the server environment. .A Linux server is a high-powered variant of the Linux open source operating system.The responsibilities of a system administrator and network administrator often overlap; however, the system administrator is more geared to the computer hardware and less on the network, although in many cases, system and network administrator are one in the same, especially in smaller companies. It teaches students how to install and customize Linux (administration of Linux servers from the GUI); manage users, permissions, folders, and native applications; configure Internet and intranet services (understanding and managing the Linux TCP/IP networking stack and services); performance tuning, security (building robust firewalls, and routers), and creating and maintaining print, e-mail, FTP, and web servers.